The new MacOS Sierra is out and has been installed on almost all of the Mac’s because it’s new features going to get better and better. While it has spirit everywhere, especially, Siri which is more compatible and smart and finds the best results for you. Moreover, you have the universal clipboard, auto unlocks with Apple Watch and much more. Sounds exciting? Do you think it’s only for Mac users or you can’t install it? ha, of course, no, because you can do them all just in Windows using VMware within some easy steps. However, as we have covered the previous OS X El Capitan installation on VMware, this time again we’re having a surprising gift for our users means we’ve covered this too, so let’s get started. Hey, before beginning the installation you need to take care them in order to install it fully on your computer. After finishing the steps above, now it’s time to begin start virtualizing and installing Mac OS Sierra. Let’s get started. #1. 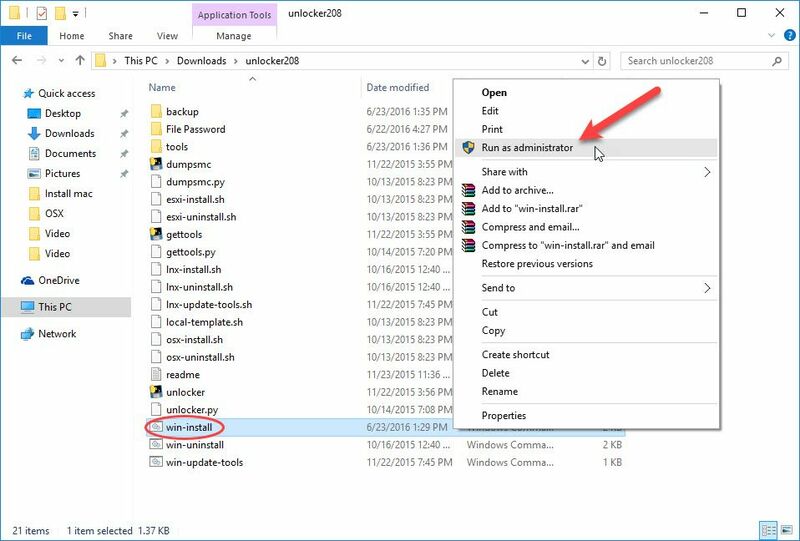 Open File Explorer and navigate to unlocker208 extracted files and right click on win-install and select Run as administrator, when the windows ask your permission click Yes. This will unlock or start VMware services of Mac so that you can choose and install Mac on VMware. #2. 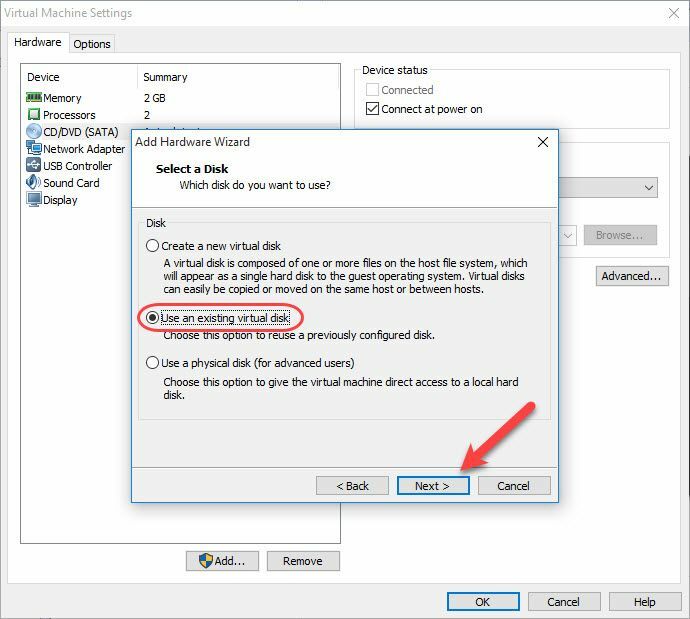 Now open VMware and click on File>New virtual machine(Ctrl+N), when the new virtual machine wizard pops up, just click Next. #3. In this step, you’ve to select I will install the operating system later and click Next. #4. 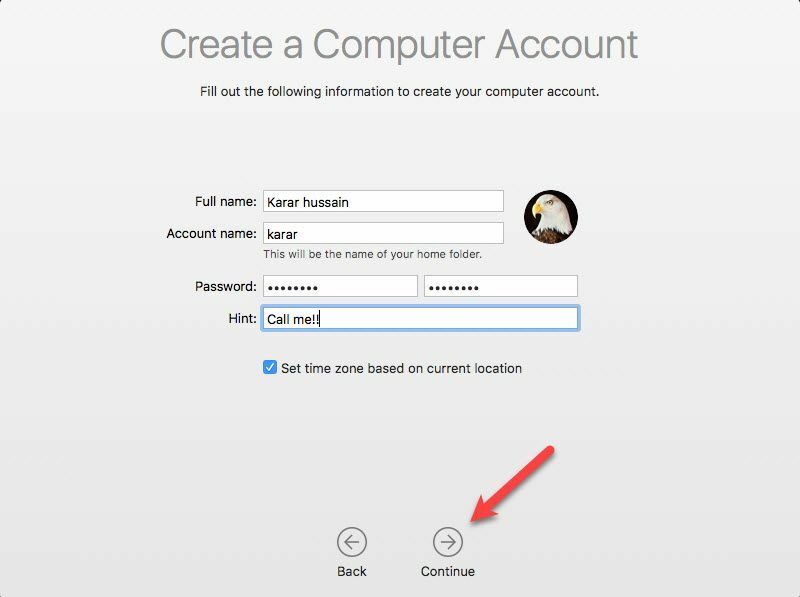 Here you need to select Apple Mac OS X as operating system and choose 10.11 from OS X version then click Next. #6. Now you don’t need to do anything just hit Next due to we won’t use the drive for our installation. #7. Everything is ready now, customize hardware if needed or finalize the virtual machine settings creation by hitting Finish. 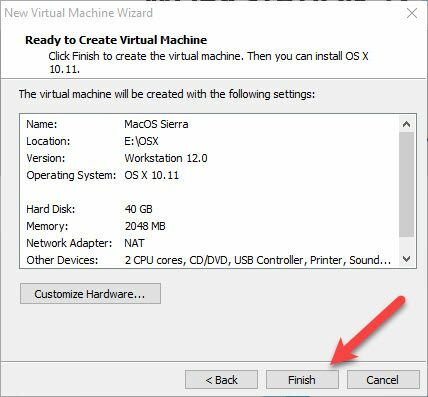 Notice: After the virtual machine has been created, don’t turn it on otherwise you might lose the virtual machine and begin the steps from the beginning. Now here you can increase memory, processor if your system allows you and then select Hard Disk option and click Remove. When the hard disk removed, click Add then select Hard Disk and click Next. Now browse the VMDK file of MacOS Sierra from the extracted folder that you had downloaded then click Finish then click Ok on virtual machine settings. 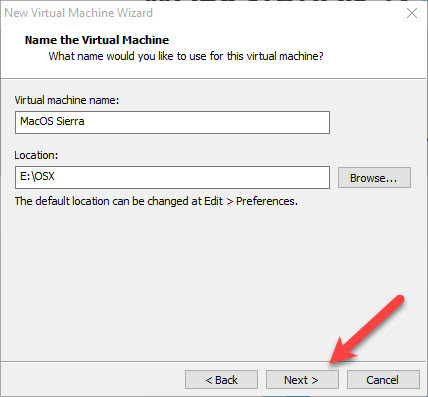 It’s time to edit the VMX file of the virtual machine, to do that navigate to the macOS Sierra virtual machine files you had created and right-click on it and open it with Notepad. Note: If you got the error later saying the value 0 in Smc.version = “0” is not valid, take away the quotations and it will work. All right and now what you’re going to do next is power on the VM by clicking on the button above Power on this virtual machine. 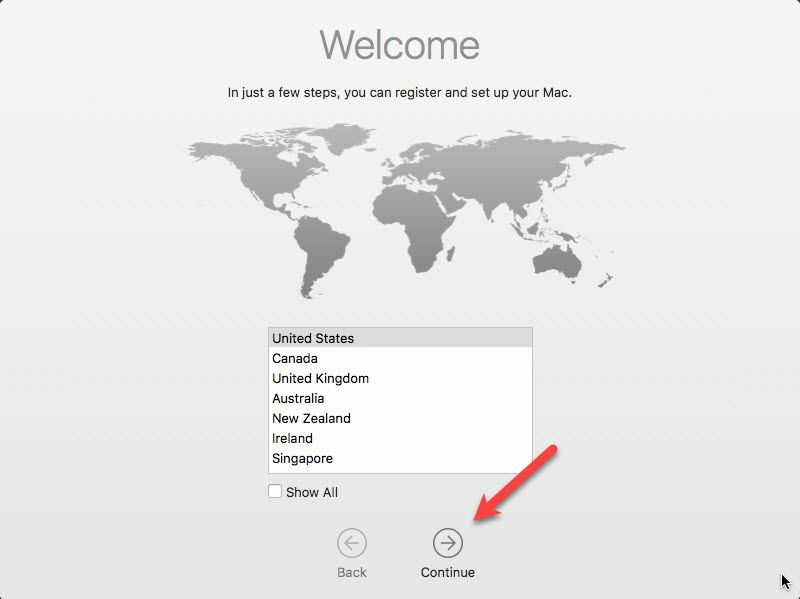 When the VM powered on, on the first screen you’ll see the welcome page, choose your country then click Continue. This installation is similar to other OS X installation, so just enjoy. 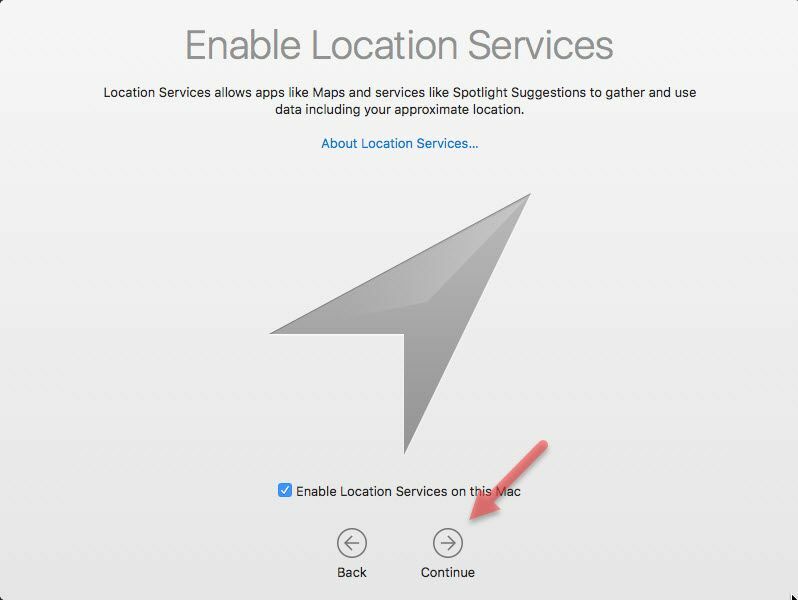 It’s your choice whether you allow or disallow location services, choose one and click Continue. 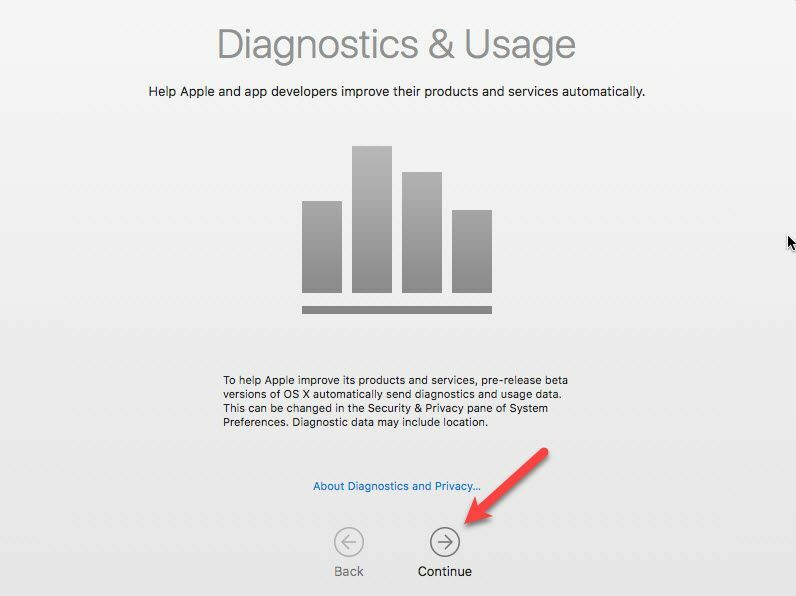 Watch out, it isn’t finished it’s the final one, help Apple to improve its products and services automatically by having Diagnostics & usage just hit Continue. After continuing, you’ll exactly be in MacOS Sierra and finally, you’ve got your final result. 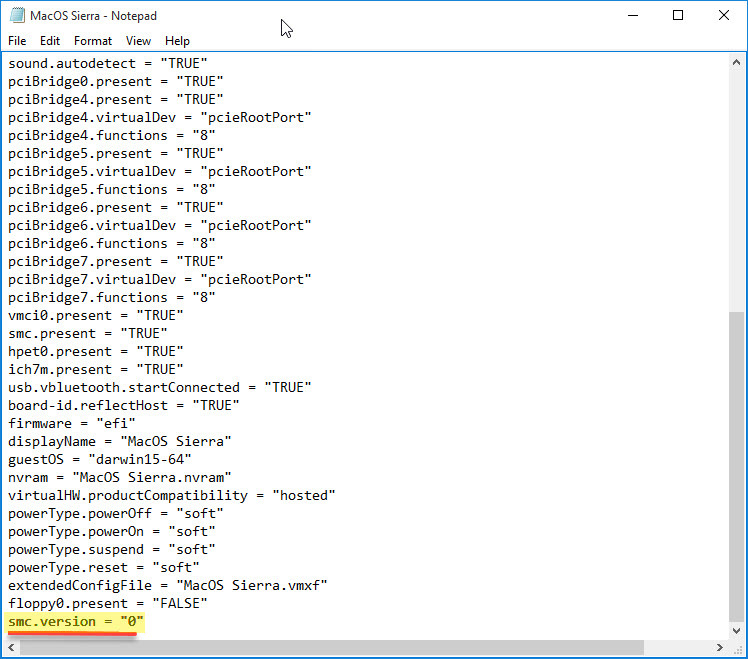 See Next:- How to Install macOS Sierra 10.12 on VirtualBox in Windows PC? 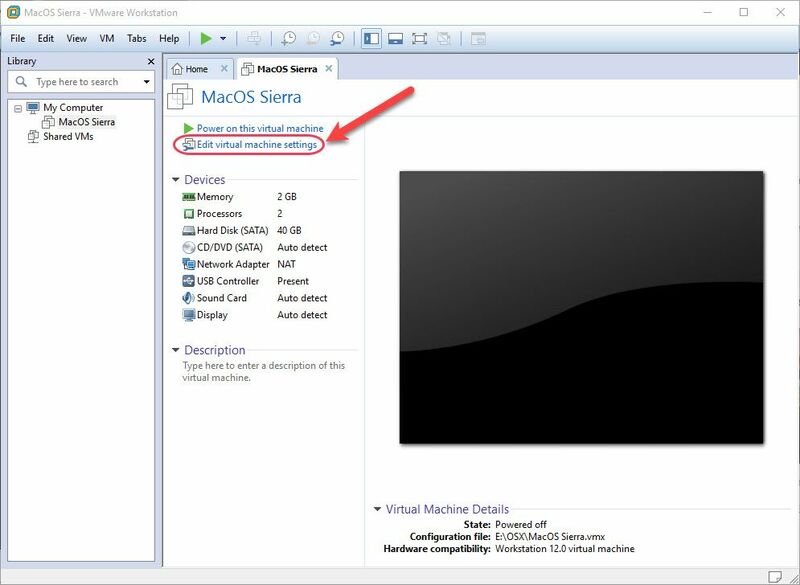 Ok, fine that’s it, can’t install or got confused, check out our video below based on install MacOS Sierra on VMware step by step. Notice that if you face boot manager problem or any other problems, check out the step #3 and use the code without quotation marks or you can try the whole tutorial once again if again not succeed, then try to check your laptop/PC if it’s not AMD, if it is then you can’t do it or if your system is Intel then go and check the steps clearly and check once again or do it on another computer. 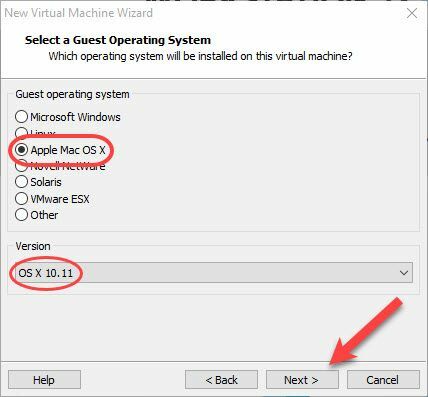 When the VMware tools installed, now step through setting up your mac which is essential after installation. Click the link below and follow the steps. Thx bro for your information . Does this work on AMD? Dear oliver, sorry for that but it doesn’t work on AMD Platform as I’ve said in the article, wait for the next version. 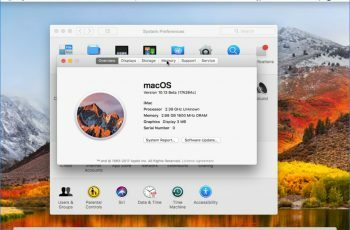 Next version of vmWare or macOS Sierra? there is a version attached to the Intel version for Yosemite version for AMDs , I have it! it’s a vmware file too. you’ll find it if you search. No one is gonna know its not AMD compatible if you leave a note in a middle of a paragraph in the middle of the article. I have to search it because I’m aware that Sierra is to new for the community to create AMD support. Many others ask because they do not see a disclosure at the beginning. How can I speed it up? It worked but it runs pretty slow..
Go to virtual machine settings>Memory> Increase memory to speed up macOS Sierra or any other virtual machine. Also we will have an article on this. 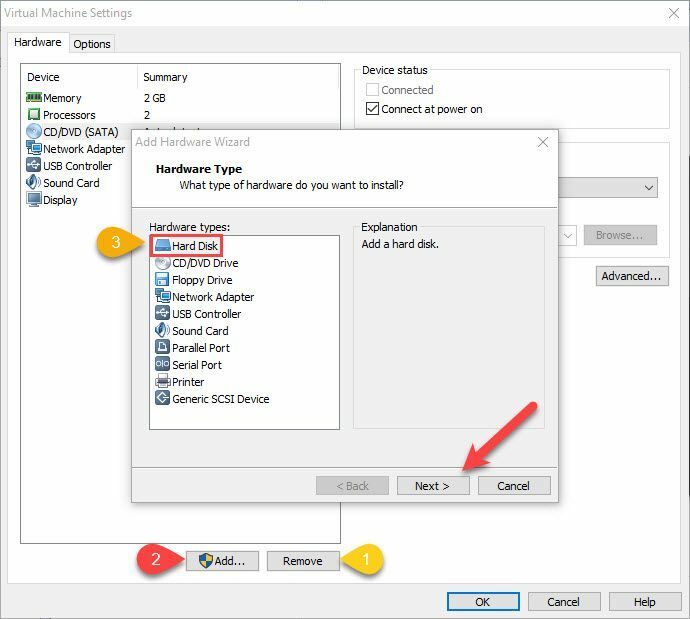 Thanks for your feedback, to improve graphics memory, navigate to VMware> Virtual Machine Settings(Edit virtual machine settings> Select Display> Change the value of the display memory from the drop down available for Shared graphic memory. Sorry, I guess I don’t get it: is this a joke? When you go to the link in Google Drive to download the image, all there is is a text file. Did you remove it? What am I missing here? Thanks! Thanks for your feedback and I’m sorry for the problems you faced, but now I’ve fixed that and its working. perfectly clear guide and thanks for the image! 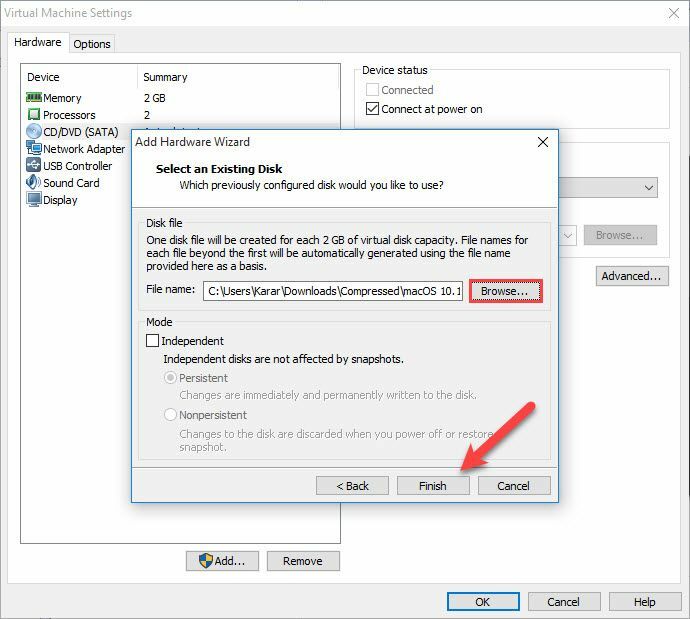 Did you import this from VMWare after going thru these steps into ESXi or were you able to run the install on ESXi direct? VMware tools(I tried copy from host to guest) is not working after the update , how can I resolve this problem? Thanks for your feedback, can you show me the screenshot? 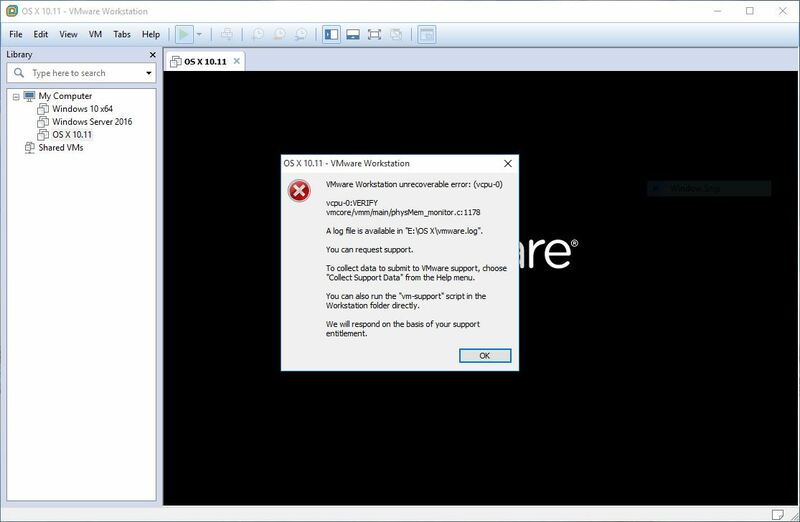 the vmware image link is not working, only a text file is there please fix it. Thanks for your feedback for having my attention towards the article, also sorry for the problem you had. Now its fixed and you can find and download the file from Google Drive. Hello, do you have an image with the Final OS Sierra version ? Thanks for your feedback, Do you want to install on VMware or PC? 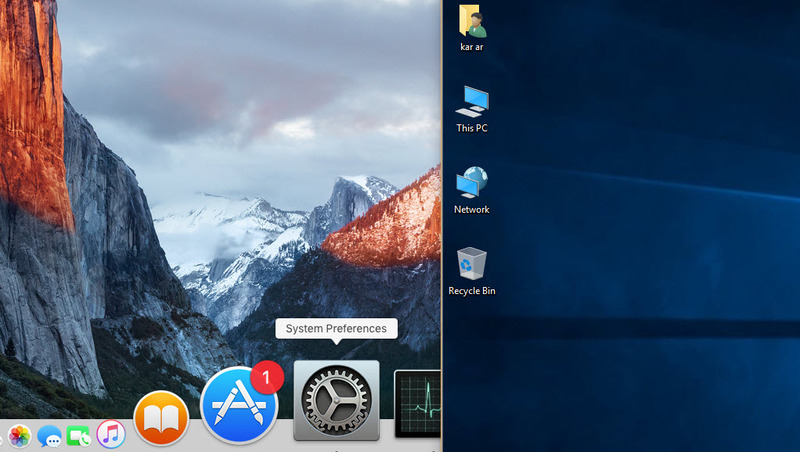 If you want to install it on VMware then install macOS Sierra on VMware from the steps and when installed update it from App Store or if you want to install it on PC then yes I’m trying to install and share the guide with you. It would be nice to have the official release version. I know it’s possible to update, but updating from a beta version, you never know if everything has been updated 100%. With a final release, you know upgrades are supported and there is a huge community to find problems. Yes now its the final version. Hello, i have installed the sierra and everything fine, but my screen resolution in small (1024×768). my actual resolution is 1366×768. how can i change the resolution? Your assistance in this matter would be greatly appreciated..
open the virtual machine settings> Display>Select your screen resolution. Please install VMware tools and you’ll automatically have full-screen resolution. Binary Translation is incompatible with long mode on this platform. Disabling long mode. Without long mode support, the virtual machine will not be able to run 64-bit code. Thanks for your feedback, do you use AMD-V platform PC or Intel? I’m having the same issue. I’m on an intel i7 6500u that has VT-x but it says I don’t have long mode support and then I click through that and then it says “Mac OS X is not supported with binary translation. To run Mac OS X you need a host on which VMware Player supports Intel VT-x or AMD-V.” and after that it closes. Followed all steps, when i boot i get error “The firmware encountered an unexpected exception. The virtual machine cannot boot.” PLEASE HELP! See the step 2 + 3 and do them clearly or try doing the steps from the first. Your system is alright, you can try restarting your windows or see if your windows isn’t corrupt or have problems. Hi, when I start it it gets me to Boot manager, what do i do? 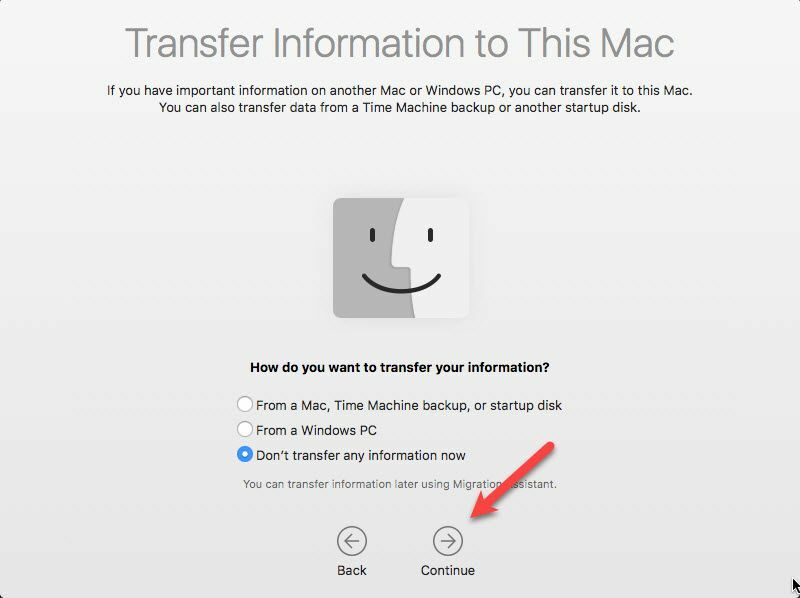 Try doing step #2 #3 carefully or start from the first, and use the VMDK file of macOS Sierra correctly in place of VMware hard disk. Why dont it work in AMD???? Because it is not supported for that. I have a problem the program give this error : Mac Os X is not supported with binary translation. TO run it you need a host on which VmWare Worstation supports INtel-V or AMD-V , how can I solve this problem? Dear Albert, do you use an AMD-V platform PC? 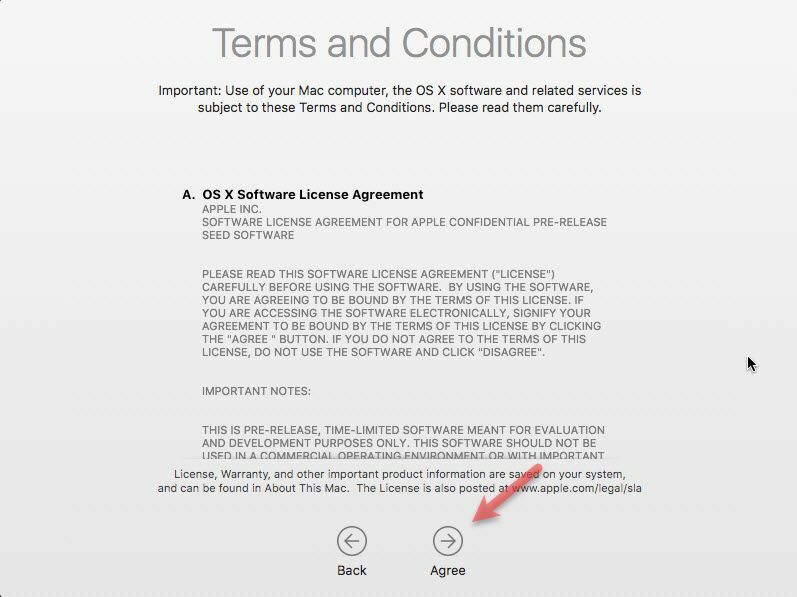 If yes, then I’m sorry that you can’t install macOS Sierra or El Capitan on VMware. I have the same problem with Intel core I5. And if failed again, please try doing once again the step #2, #3 carefully once again. Same for me, I am using ESXi 6. Is there any way to install Sierra or El-capitan on AMD-A8. 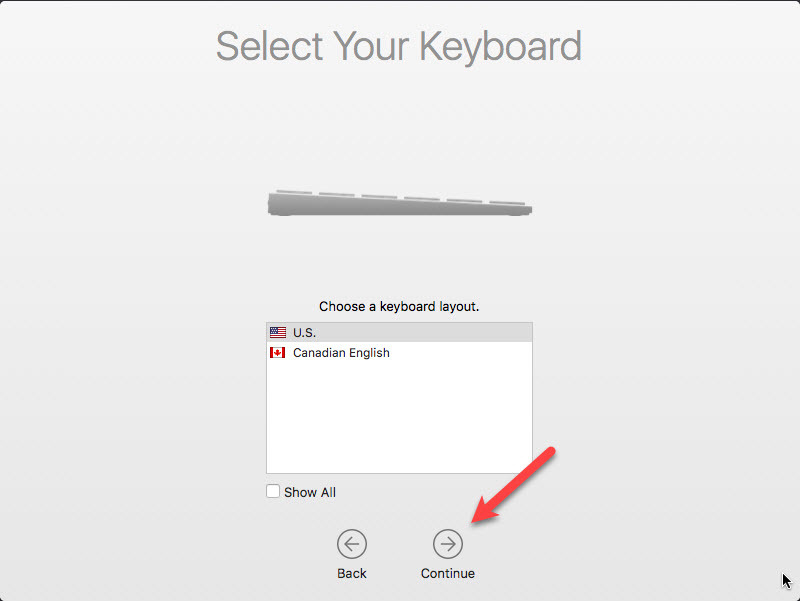 In Step 4 – should I select version OS X 10.11 or OS X 10.12 ? Select OS X 10.12 if you’ve the option if not OS X 10.11 is ok! first of all thanks for your useful guide. How i can resolve this ?? Thank you, great walk through!!!! I currently have Yosemite as a VM on ESXi6 (underlying hardware is Dell Powervault SAN for file locations and Dell R720 with 196Gb to run the VM). Question is: Can I just upgrade from Yosemite to Sierra? 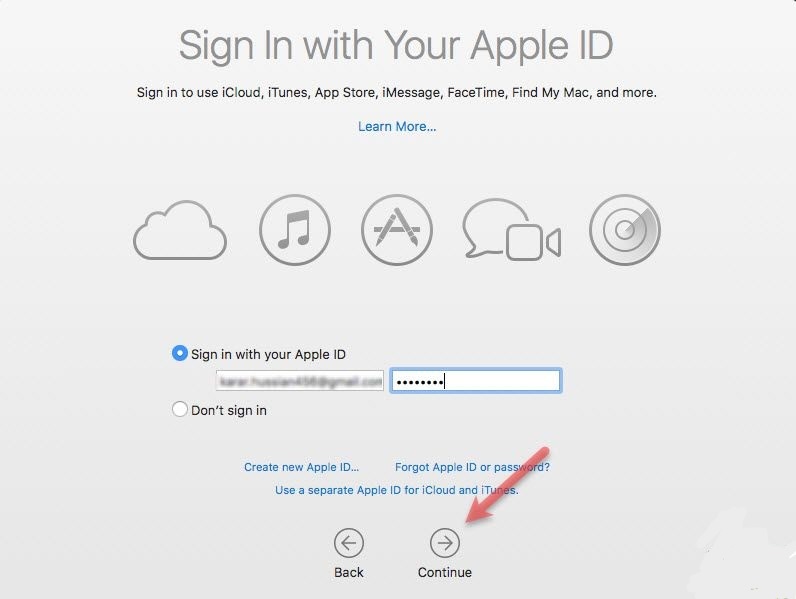 I’m having the same trouble, can’t sign into any iCloud services. This also appears to be the macOS Sierra beta. Has this .vmdk been updated to the RTM? If not, can you please do so?! You’d be amazing…. Can I install latest Xcode in the created virtual machine ? can i update the mac os sierra if new updates comes in future ?Thanks for nice tutorial. Hey, thanks for the step-by-step and for sharing the image! As some would say, you the real MVP. Running VMware Workstation 12 Player, I get “The CPU has been disabled by the guest operating system” when I try and boot the macOS 10.12 Sierra VM I created from the instructions above. Any ideas? I can run an OS X 10.11 El Capitan VM without any issues. Thank you very much. I can not change the screen resolution. There’s only 1024×768. Why could it be? 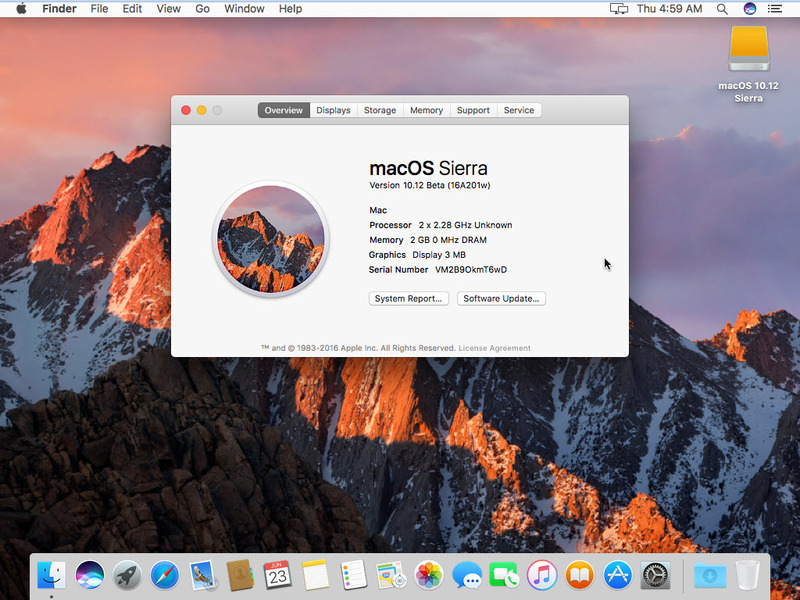 I have installed MacOS Sierra 10.12 based on your provided instructions & resources. Its FANTASTIC!!! Thank you for your wonderful Guideline. One Question, Can I Update MacOS Sierra? Its asking for updating to 10.12 .1 version. Look forward to hear your answer! Thanks! Thanks for your feedback and yes, of course you can update to the latest version. Another Query, I have upgraded the Display Memory to 128 MB using VMware Tools. Can I Upgrade it to 512MB? I am not a Tech Savvy. Please provide an easier way to increase Display Memory. Thanks! great job but Audio is Choppy how can I fix this? im using vm ware 12 in windows 10 pro pc. Thanks in Advance. Thanks for the clear, straightforward instructions. Worked first time! I know this sounds a bit tedious; but how can I make the Dock transparent? I cant just seem to figure it out. I’ve already made sure that “Reduce Transparency” is unchecked. Yet its still the solid color. Any recommendations? That’s because the graphics are not accelerated in VMware. There is nothing you can do about it. The same applies for Windows 7 Virtual machines without VMware tools. Then the taskbar is blueish. – USB Connection is not working, i can’t get my iPhone connected to the VM Ware for deploying apps via Xcode. After following all the steps from the guide i still can’t get it to work properly. i get the message that it couldn’t startup from the SATA HDD, after that it goes to a black screen with some options like boot normally but that doesn’t work since that will put it into a loop. 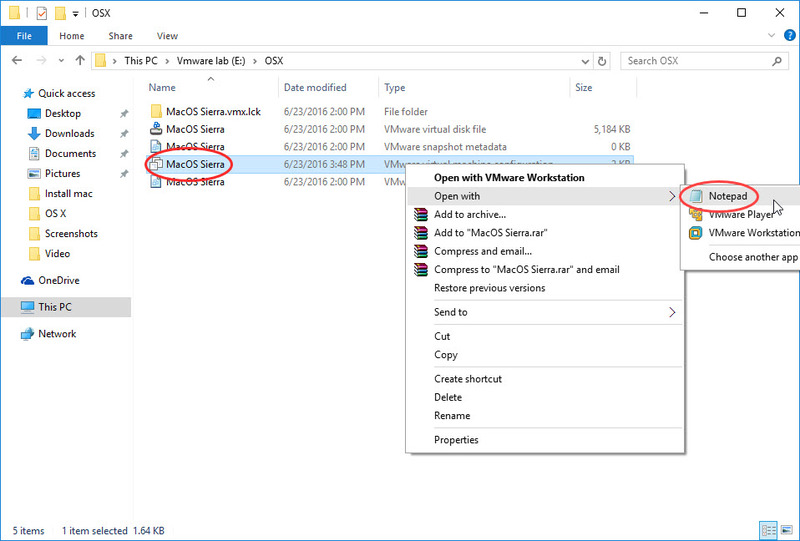 Try step 2 (Replacing the hard disk with the VMDK file of MacOs Sierra Correctly and edit the VMX file of the virtual machine in notepad correctly, or try inserting this in notepad smc.version = 0 with quotation marks or anything else. Can i uses x-code smoothly with these steps. It is on Step #4, when I power the VM, I get blue screen of boot manager that offers options to boot the VM because it cannot boot successfully by itself. Will this work using VMware Player 7.1.3? I started trying to follow your guide but didn’t have the option to choose OSX 10.11 as my operating system (the most recent on the list is OSX 10.10). 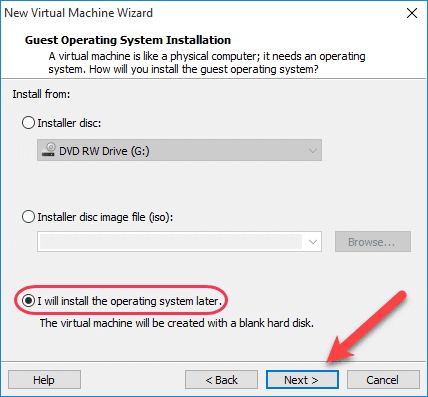 When I got to the end of step #2 I was unable to specify the disc image – got this error: – “The selected virtual disk is incompatible with this Workstation 11.0 virtual machine. 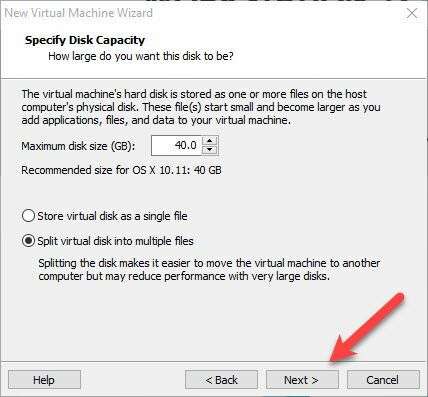 Adding this disk would make this virtual machine incompatible with older VMware products.” It wouldn’t let me finish & proceed. Am I right in assuming I’ll need to upgrade & get myself a fully fledged version of Workstation Pro 12 in order to get any further? Will you please help us to get rid of this Stuck problem on Loading??? it Stuck on loading . I have downloaded 10.11 too but experiencing same problem. have you any idea or Solution? I tried to install Mac OS Sierra on my VMware workstation 12, but the thing is, i couldn’t be able to see the Apple Mac OS X in the Guest Operating System (Step 4). What should I do now? Can you kindly guide me? did you find any solution.. even I am facing the same issue now. I am trying to install macOS 10.12 in Vm ware and following your sites articles, youtube videos and tried tutorials too, but no matter how many times I try i cant get the AppleMacOSX option after running win – install by selecting Run as Administrator option. Hi, thank you very much! It worked perfectly. I had to remove the quotations around the zero as you explained. I’m running Windows 10 Pro with VMware workstation 12.5. Thanks again!! When i power my mchine on it comes up with this error: Mac OS X is not supported with binary translation. 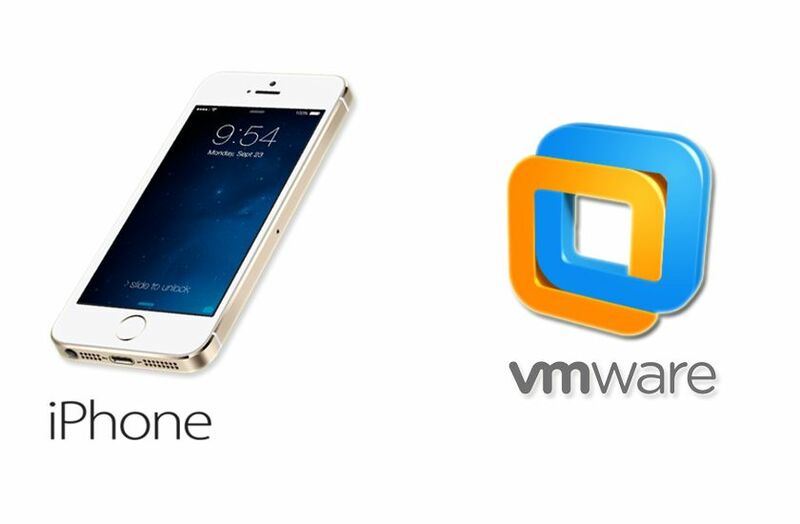 To run Mac OS X you need a host on which VMware Workstation supports Intel VT-x or AMD-V. If you are sure your CPU supports virtualization, try to go in the setup and activate it. If your CPU doesn’t support virtualization, sorry, you can’t install OS X on VMWare. Thanks a lot! This information is very useful. Does it work with i5-5200u? I asked, because the new macBook Air uses a i5-5250u. I get Operating System not found when powering on the VM. i can not download vm image file form google drive.. Follow the steps in “Fix Google Drive Download Limit” article, the link is at the top of this page. I have installed MacOS Sierra on ESX 6 with unlocker and everything is fine. What config did you use for that? t doesn’t work with ESXi 6.5 ProLiant 360 G6 (boot loop instead installation). Works great on i7-3630QM and despite the VMware limitation of 128mb on the video, it’s surprisingly fast. it even shows my display’s correct resolution at 1366 x 768. I was even able to upgrade to 10.12.3 with no issues. Good job on the tutorial. I can´t login in the Apple Store for download upgrades or install apps like XCode. …bla bla in dialogue box. Except for many Mac Apps which require direct access to the graphics card (this is not allowed within Virtual Machines), the OSX VM works great on my host system, which has an i7-3630QM clocked at 2.4 GHz. 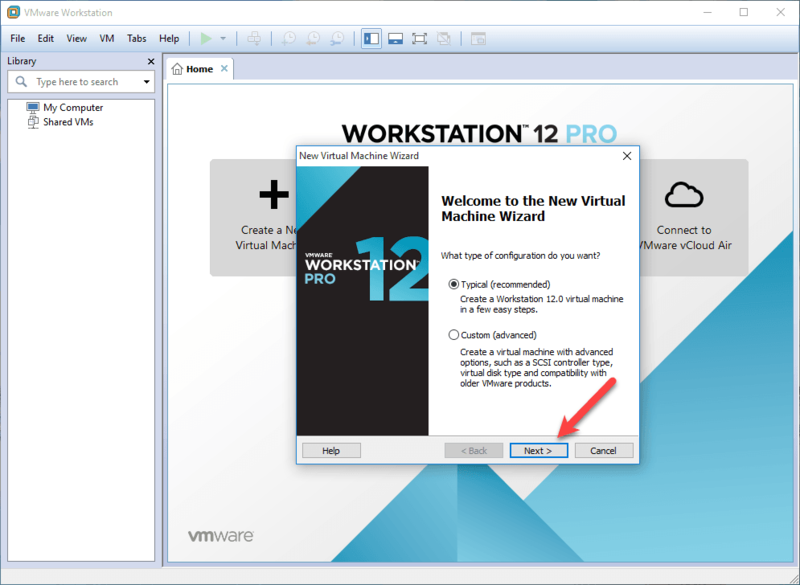 Although I have not tried it yet, would updating the version of VMWare Workstation from 12.5 to 12.5.x possibly affect the use of an OSX VM on a PC? Namely, would OSX support in the VMWare WS update need to be unlocked again, or will it carry over with the update? I am using vmware 12.5.5. After running win-install.cmd, vmware did not give me the option to install Mac. is this virual machine support amd prossesor ? It’s more extensive, I’ll try to send you a scree shoot of the error. i have also VmWare workstation12 Pro but in this Apple Mac OS x option is not available..What should i do? Do you use unlocker208 and run as administrator? Bummer…. it doesn’t work on the AMD Ryzen CPU? No, it doesn’t work on AMD CPU. Hey, I read several posts with instructions to get macOS running in vmware player/workstation. But it seems that it doesn’t work for me at all. After following every step I end up with a virtual machine that is starting to boot, failing, and restarting the boot sequence again. I really don’t know what is the issue here and I hope someone can help me. Could it be my processor or chip set? I have an MSI motherboard working with a intel pentium dual core G4400. Do you have an AMD or Intel Processor core? Please use the unlocker correctly and if you again got the error, please try using another user account. An error occurred while opening configuration file “C:\Users\rberc\Desktop\macOS 10.12 Sierra\macOS 10.12 Sierra.vmx”: Insufficient permission to access the file. Cannot open the configuration file C:\Users\rberc\Desktop\macOS 10.12 Sierra\macOS 10.12 Sierra.vmx. My Windows is 10. i Forget it to say. 128mb of VRAM makes it choppy and not enjoyable. It there any way to let macOS grab hold of all my VRAM? Telling VMware player know I have 512mb doesn’t seem to work, macOS still says 128mb. What computer should I buy to run an Adobe CS4 Collection at full speed? I get “the cpu has been disabled by the guest operating system” when I start the Sierra virtual machine after following all the steps. My CPU is Core 2 Quad 6600. Hi… I ve reached the login page but my keyboard is not working on VM. I ve tried the whole process thrice. Please help! Somewhere after updating VMWare WS 12.5.2 to 12.5.6 and OSX from 10.12 to 10.12.5, I lost the ability to boot OSX on my PC: during startup the VM just reboots repeatably with error code traces. I reverted to WMWare WS 12.5.2 and problem persists. I can run a snapshot, but the restored VM with OSX 10.12.5 just reboots ad infinitum. The log file indicates W115: DarwinPanic: panic(cpu 0 caller 0xffffff7fa4dc9a70): “DSMOS: SMC read error K0. Apparently In Sierra 10.12.4, Apple added some extra copy protection which is able to tell that the SMC emulation is not a real Mac! Has anyone been able to successfully shutdown and restart OSX 10.12.4+? I tried one trick mentioned on YouTube: I edited mac_os_x.vmx file to change line smc.present = “TRUE” to smc.present = “FALSE”, but this just resulted in a black screen! Error while opening the virtual machine: Taking ownership of this virtual machine failed. Configuration file: F:\Fouzaan Ahsan\Documents\Virtual Machines\OS X 10.11 (2)\OS X 10.11 (2).vmx. 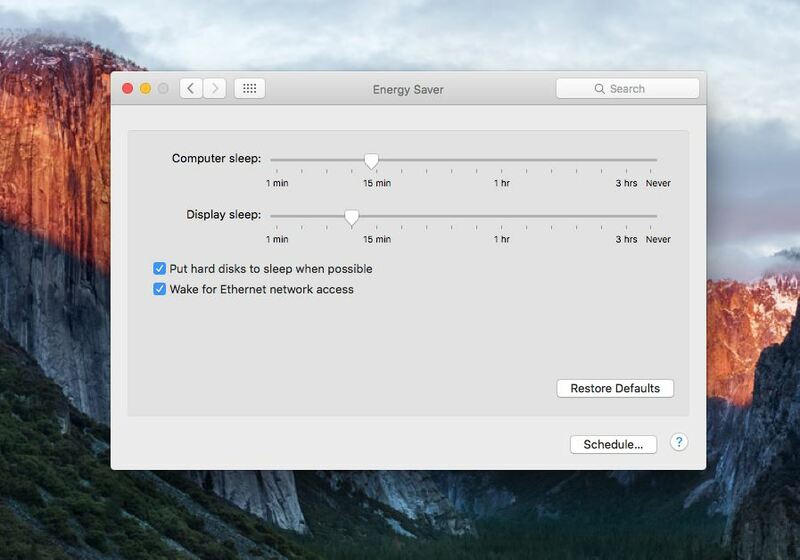 I have VM Pro 14 and DOnt see an Option for creating a Mac OS like you have Displayed. I used Other 64bit. I swapped out the Drive and It tries to boot to LAn.